John F. Hayden is a Principal in the Washington, DC, office of Fish & Richardson. He is the Practice Group Leader for the firm’s Patent Practice, and an elected member of the firm’s Management Committee. As the Patent Practice Group Leader, Mr. Hayden manages a group including more than 180 attorneys and technology specialists working on patent prosecution, post-grant challenges, and other patent-related matters. He strives to continually improve the group’s performance, processes, and procedures, with a constant focus on efficiently and cost-effectively producing outstanding results for our clients. Mr. Hayden’s practice emphasizes client counseling, patent prosecution, and due diligence and freedom-to-operate analyses. His technical focus is with electrical, computer-related, and mechanical inventions, and he has represented clients ranging from emerging companies to members of the Fortune 100. With more than 25 years’ experience, Mr. Hayden works directly with his clients to develop and manage global patent portfolios that achieve their intellectual property and business goals effectively and cost-efficiently. He has extensive experience with semiconductor devices and fabrication processes (with an emphasis on semiconductor display technologies), computer hardware and software, and electrical and power equipment. 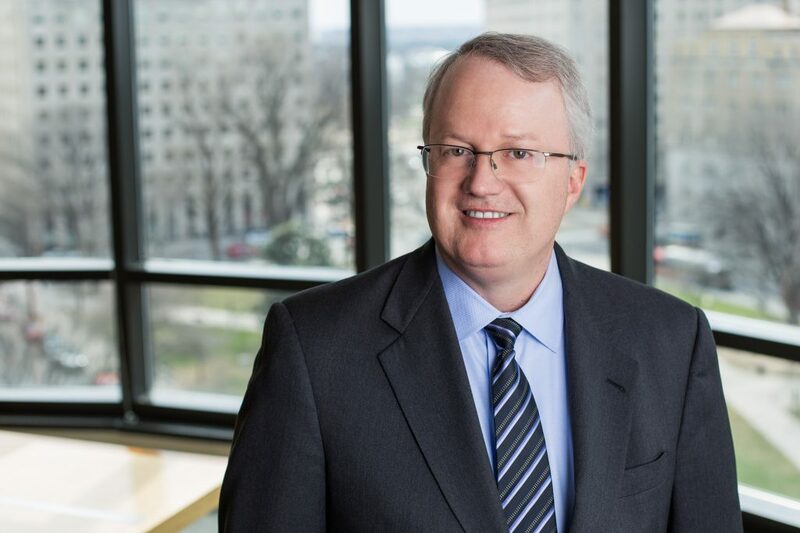 He has successfully prosecuted software patents in areas including business methods, speech recognition and processing, computer games, communications, simulations, and image processing. He is also experienced with technologies such as processor structures and architectures, communications techniques, Ethernet and industrial protocols, fault tolerant computing, networking switches and routers, electronics, power equipment, lighting equipment, detection and inspection systems, automotive systems and components, sensors, optics, toys and games, medical devices, and mechanical designs. Mr. Hayden has prior experience in microprocessor design and database programming and design. “Highly Recommended”, IAM Patent 1000 – The World’s Leading Patent Professionals (2016-2018). Named “IP Star” by Managing Intellectual Property (2013-2018). Author of recent development: “Copyright Protection of Computer Databases after Feist,” Harv. J.L. & Tech., Fall, 1991.